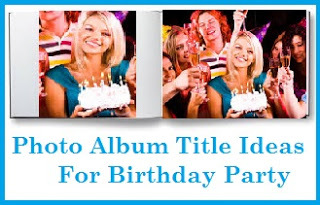 Birthday Cake Wordings offers you special birthday cake messages. From romantic & funny birthday cake wordings to birthday cake wordings for Husband or Wife, Son or Daughter, Dad or Mom, Boyfriend or Girlfriend, Boss or Colleagues. Here are the fabulous alternatives to the everyday ‘‘HAPPY BIRTHDAY’ cake saying! Find the perfect wordings on what to write on a birthday cake now ! The age of 100 is truly a milestone for anyone who has ever lived this long. It's super special since only a few ever reach this age. Your birthday greetings should be equally sincere and not pretentious. Here is a collection of unique happy birthday wordings for the 100th Birthday party celebrations. 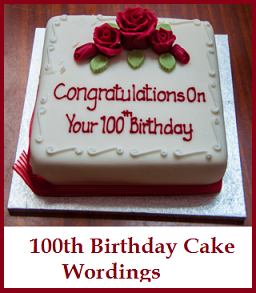 Read on to find the perfect wording on what to write on a 100th Birthday cake right here. * Kudos to your 100th birthday! * You R truly blessed to have lived this long. Happy 100th birthday! * Happy 100th birthday Big Boss! * Welcome to the centenarian club! Happy 100th birthday! * Congratulations on turning a century old! * Wishing you all the happiness on your 100th birthday! * You've been orbiting the sun 4r 100 years. Happy birthday! * Obviously you know the secret to long life. Happy 100th birthday! * We'd love to hear your secrets to a long life. Happy 100th birthday! * Happy 2nd anniversary to your 50th birthday! * Happy 100th birthday to the man we've admired in our lifetime! * The first 100 years are the hardest. Happy 100th birthday! * You get better with age. You have reached awesome level 100! Happy birthday! * You've grown old so gracefully. Happy 100th birthday! * Aging is perfection. Happy 100th birthday! * I believe you've seen, heard and done it all. But can you remember it all? Happy 100th birthday! * Have it your way on your 100th birthday! So much life is given to you. You deserve many more. Happy 100th birthday! * It's the life in your years that count. Happy 100th birthday! Here's 100 cheers to you! Happy 100th birthday! Brilliant ideas for 100th birthday cake. Thanks for these inspirations. Our grandfather’s 75th birthday is coming next month and planning to celebrate it in vintage style. Hoping to get one of vintage Seattle Venues booked in our budget. Special Cake Sayings For All Occasions!